Q: I used to be a Leeann Chin Loyalty Club Member. What happened to that program? For the time being, we will be running both Rewards Programs simultaneously. Once a current Loyalty Club Member downloads the new Mobile App, responds affirmatively that they are a current Loyalty Club Member AND inputs their phone number at the time that they download the App, their existing unredeemed Rewards will be transferred over to the App and from that point forward, the App will be the only platform from which they will manage their Rewards, which are now called "Fortunes". Q: How do I sign up for the new App? Simply key your phone number into the iPad and you will be texted the link to the App. Open the link and sign up! If you do not wish to sign up this way, simply visit the App Store and search for "Leeann Chin" to access our App. Q: I had several visits building toward a Free Entree. Do I have to start all over? Absolutely not! When you download the App, you will be asked if you were an existing Loyalty Club Member. Respond yes to that question and there will be a few other questions that you must provide answers to, including providing your phone number. You must provide this as this is the only way that we are able to access your historic visit info. All previous visits will transfer over to the new App. And don't worry, we won't use your phone number for any reason other than mapping the visits over to you! Q: I migrated from the previous Leeann Chin Loyalty Club. I was not able to sign up through Facebook to earn the Bonus Fortunes. How can I sign up using Facebook? Click on the hamburger menu (slide out menu) in the upper left hand corner. Scroll down and select "Logout" , then "Yes", then select the blue button "Sign Up wih Facebook", and continue through the Facebook prompts. Q: Does it work the same way where after 10 visits I get a Free entree? Not exactly, but we feel that we have improved the rewards by converting the metric from visits to what we are calling "Fortunes". For every dollar that you spend, you will be awarded one "Fortune". Once you get to 100 Fortunes, you get a FREE Entree. The more you spend, the more you get rewarded! Our average guest that visits us spends roughly $10 per visit, so we felt that going to a "fortunes" approach benefits those that come in and spend more than $10. Q: Will you still be sending out texts for Buy One Get One Free Offers? You will no longer receive offers by way of text, but instead they will be Push Notifications that will appear within the App. Not only will we continue to run Campaigns with BOGO's, but we will also be acknowledging your birthday with a special gift to you and promoting fun events with "double points" days, etc..
Q: How do I get credit for my purchases since the program is now driven by Fortunes rather than visits? Good question! For each visit that you had on the previous system that you have not already been given a reward for, we will be converting the visit to 10 "Fortunes". If you had seven visits, those will be converted to 70 "Fortunes" and you will be well on your way to the 100 "Fortunes" needed to earn a Free entree! Q: Great, but how do I get credit for my purchases? There are three ways that you can do this. You can either scan a QR code on the scanner available at the cash register of each participating Leeann Chin, or scan the barcode on the bottom of your receipt using the Leeann Chin App, or you can enter the code on the bottom of your receipt on our website. Q: What if I don't have a phone, or don't want to have the Leeann Chin App on my phone? Not a problem! You can participate in our Rewards Club on our website. Q: Why did I not earn points the last time I checked in or scanned the barcode on my receipt? Thank you for your inquiry. In order to expedite your inquiry, please log into the Leeann Chin App, select the slide out menu (hamburger menu), select "Need Help? ", select App/Technical Support, and complete the email by explaining your situation and a guest services member will respond within three business days. Q: I earned 100 Fortunes and I did not receive my Free Entree or Reward, why? Thank you for inquiry and in order to expedite your inquiry, please log into the Leeann Chin App, select the slide out menu (hamburger menu), select "Need Help? ", select App/Technical Support, complete the email by explaining your situation and a Guest Services member will respond within three business days. Q: Why can't I order on the App? We do not currently offer order ahead or mobile ordering through the Leeann Chin App. We do provide our menu for your convenience. Q: Why can't I order delivery on the App? 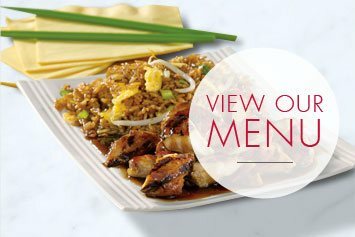 We do not currently offer order ahead or mobile ordering through the Leeann Chin App. We do provide our menu for your convenience. Although we do not offer on line ordering for pick up at the stores, our app does have a link to Corporate Catering and Delivery where the guest is redirected to the LAC Catering page on our website and is able to place a Catering Order to be delivered from there. Q: Do I earn points for my catering order? 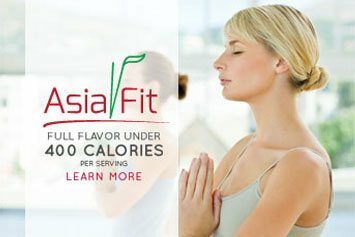 Catering orders are not eligible to earn Fortunes, however, anything that is ordered in the store, including Bulk Pick Ups will earn Fortunes (the exception is Gift Cards) Please contact our Corporate Catering and Delivery Team to discuss corporate delivery and catering promotions or programs. Q: My receipt reads $10.71, but I only earned 10 Fortunes. I thought that you rounded up and I should get 11 Fortunes? Fortunes are awarded on the basis of pre-tax sales, not fully loaded sales, therefore, your pre-tax total was $9.96 and you would be awarded 10 Fortunes. Q: I don't have access to a Smartphone or the website, is there still an opportunity for me to participate in the program? We do apologize and thank you for your patronage but access via a Smartphone or the website is required to gain access to our program. Q: What if I use multiple devices? Not a problem! Your Loyalty ID is unique to your email address, not your phone number, as had been the case with the previous Loyalty Program.